There were hard feelings all around as the game ended with arguments involving everything from the selection of officials to the game’s final score. A Kansas law student got thrown in jail for refusing to pay off bets, and the Jayhawks were both demanding a rematch and threatening never to play Nebraska again. 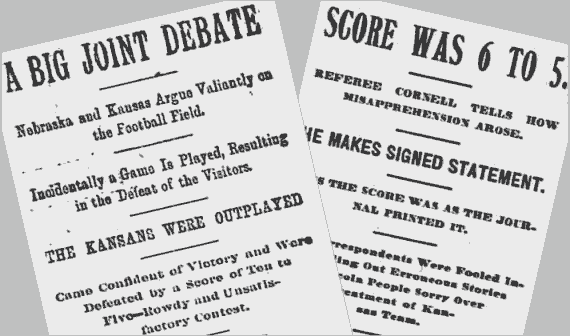 To this day, official records at Kansas list the final score as Nebraska 6, Kansas 5. Nebraska fullback George Shedd ran for a touchdown and kicked a goal.